The road to Needle Rock has slid and will be closed until further notice. Usal Campground is still open. Day Use areas open Sunrise to Sunset. North end of wilderness (Needle Rock): 36 miles southwest of Garberville/Redway on Briceland Road. Take Briceland Road west from Redway. Briceland Road becomes Mendocino County Road 435. The last 3.5 miles are unpaved, steep, & narrow. South end of wilderness (Usal Beach): Approximately one hour north of Ft Bragg on PCH or 15 miles west of Leggett on PCH from Highway 101. Look for mile marker 90.88 on PCH. Turn north for approximately 6 miles onto unpaved, steep, narrow road. ROADS MAY BE IMPASSABLE IN WET WEATHER. RV'S & TRAILERS NOT RECOMMENDED. Briceland Road at the north end of the Sinkyone Wilderness and Usal Road at the south end are currently open. For the most current road conditions, check the Mendocino County Road Closures website or call 707-463-4363. For any questions, please call Richardson Grove State Park at 707-247-3318. 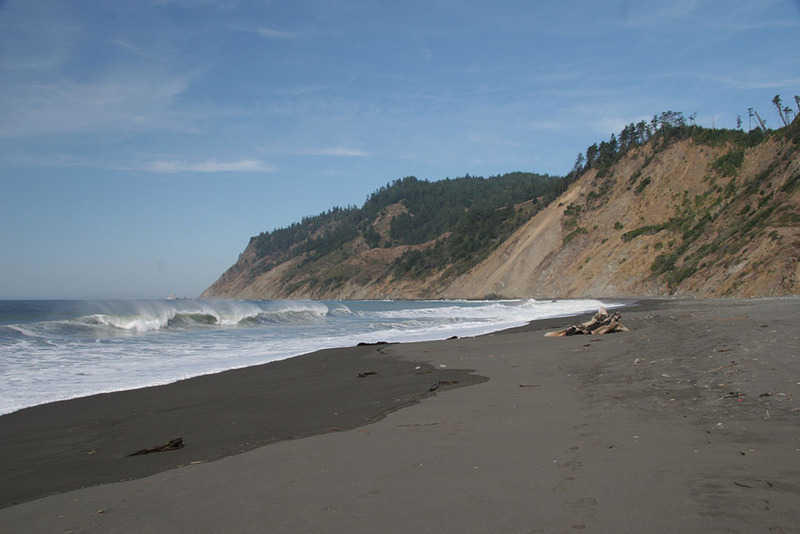 Sinkyone Wilderness State Park lies on the southern portion of the Lost Coast, a 60-mile stretch of wilderness comprising the park and the King Range National Conservation Area. For thousands of years before the first Europeans arrived, the Sinkyone Indians lived on this part of the coast. They occupied permanent villages beside streams and rivers, and moved out in family groups to hunt and forage in the hills during the summer. They fished, gathered seaweed and shellfish, hunted seals and sea lions, and harvested the occasional dead whale washed on shore. All kinds of fish were caught, but the seasonal salmon run was especially important. 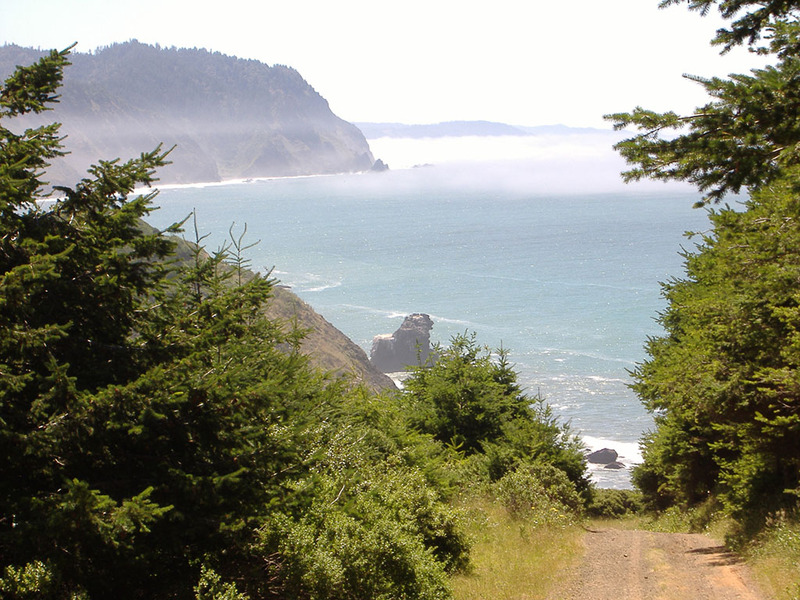 Today, the Lost Coast Trail follows the whole length of the rugged Sinkyone coastline. Gray whales pass by during the winter and early spring. 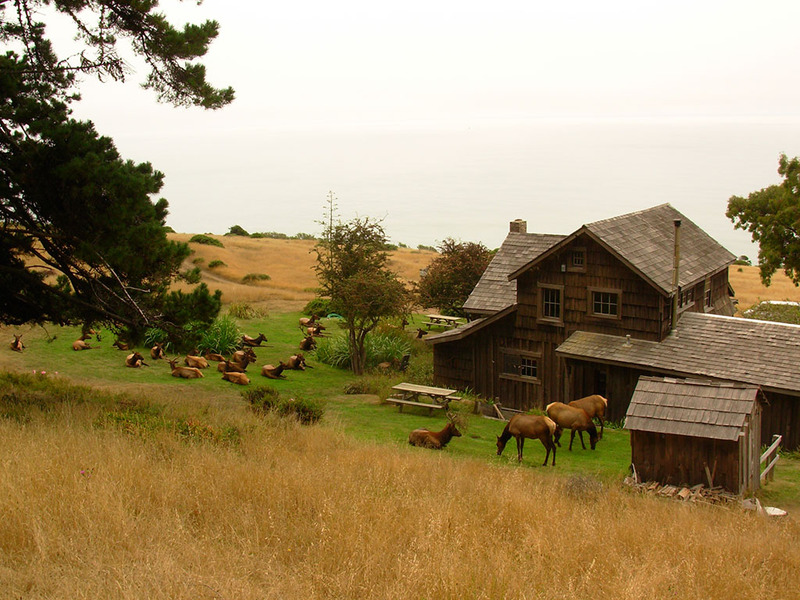 Roosevelt elk roam the grasslands. Sea lions and harbor seals hang out in rocky coves. It’s an arresting landscape, with canyons, arches, tide pools, sea stacks, seasonal wildflowers, waterfalls, and dark sand beaches. On a sunny day, the sea looks turquoise, giving the park tropical feeling. Some aspects of the Sinkyone keep crowds away. Its trails are steep and its campgrounds are primitive. There’s no potable water, and you have to haul out your own trash. When wet, the park’s twisting dirt roads are impassable for passenger cars. More than a few visitors have had to stay an extra day or two because a mudslide or fallen tree closed their route home. “The Sinkyone lets you go when it wants to let you go,” a park ranger says. In other words, it’s a real wilderness. Weather Summer temperatures average 45–75° F. Morning and evening fog is common. Winter lows range from 35-55° F. Rain falls up to 80 inches per year, mostly between November and May. The Needle Rock to Bear Harbor Road is currently closed to motor vehicles due to unsafe conditions. It is open to day hikers, backpackers, bicyclists, and equestrians. • Bring your own toilet paper, even at the Usal drive-in campground. Staffing cuts make it difficult to keep supplies adequate. • Pack it in, pack it out is the rule at Usal and other Sinkyone campgrounds. Visitors must bring their own garbage bags or refuse containers. • In wet weather, roads may be impassable. RVs and trailers are not recommended in any season. • Bring your own drinking water or a water treatment device. • Dogs are not allowed on trails. At Usal Beach and Needle Rock Visitor Center they must be in your vehicle or on a leash no more than six feet long. • Please do not pick flowers or mushrooms. Eating berries is allowed. Just make sure you know how to tell the difference between the edible and poisonous ones. • Don't feed the animals. Hungry animals may beg for food, but once fed they may become aggressive in their demands for more. • Keep a clean camp. A bear or raccoon uses his nose to read your menu—and if you leave fragrant leftovers, he might pay you a surprise visit. • Lock food in a hard-topped car or (for backpackers) hang it in a tree or secure it in a bear container. Even in the car, store food in airtight containers, carefully wrapped. • Be careful around the majestic Roosevelt elk. Stay on trails and do not get close to them. Never get between a cow elk and her young. • Don’t approach marine mammals. Report a distressed animal by calling the North Coast Marine Mammal Center at 707-465-6265. • Driving on the beach is not allowed, and citations will be issued. Usal Beach is not an OHV park. Street legal vehicles are allowed on designated and maintained roads. 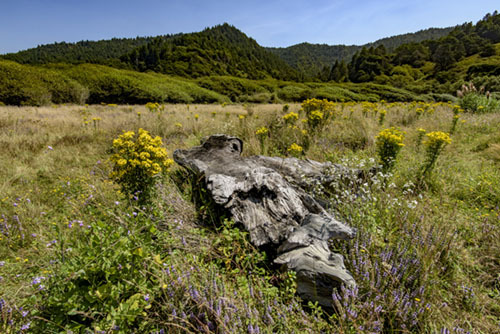 The rugged wilderness that once characterized the entire Mendocino Coast can still be explored and enjoyed in the Sinkyone Wilderness State Park. Since there are no main highways near the coast in this vicinity, the area has come to be called the "Lost Coast." 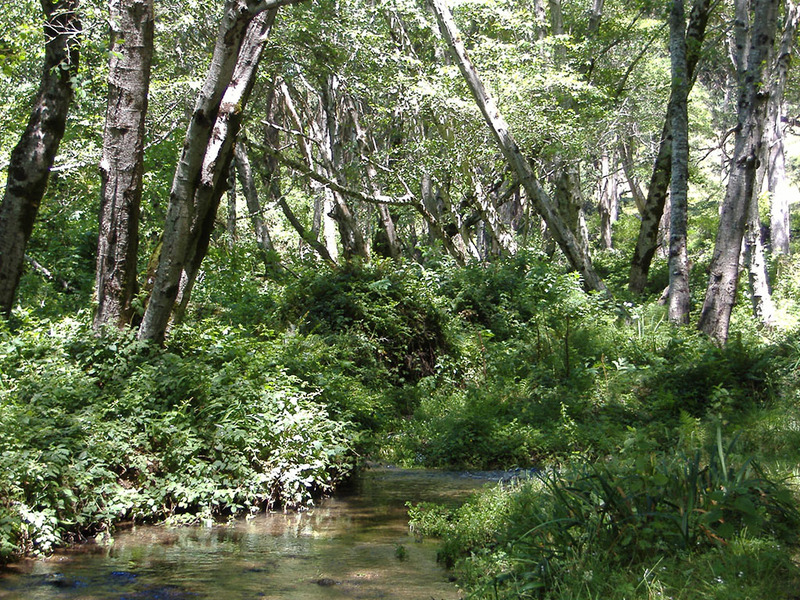 Sinkyone Wilderness State Park is located within bear country. State Park regulations require that visitors store all food and scented items properly at all times. North end of wilderness - (Needle Rock): 36 miles southwest of Garberville/Redway on Briceland Road. Take Briceland Road west from Redway. Briceland Road becomes Mendocino County Road 435. The last 3.5 miles are unpaved, steep, & narrow. South end of wilderness - (Usal Beach): Approximately one hour north of Ft Bragg on Highway 1 or 15 miles west of Leggett on Highway 1 from Highway 101. Look for mile marker 90.88 on Highway 1. Turn north for approximately 6 miles onto unpaved, steep, narrow road. Sinkyone Wilderness State Park occupies a very distinguished geologic location near the junction of three of the major plates that make up the earth’s crust. These three tectonic plates (the Pacific, North American, and Gorda plates) are bounded by major faults, including the San Andreas Fault just offshore of the park and the Mendocino fracture zone and Cascadia “mega-thrust” (a subduction zone) offshore and north of the park. Day-use areas open sunrise to sunset. 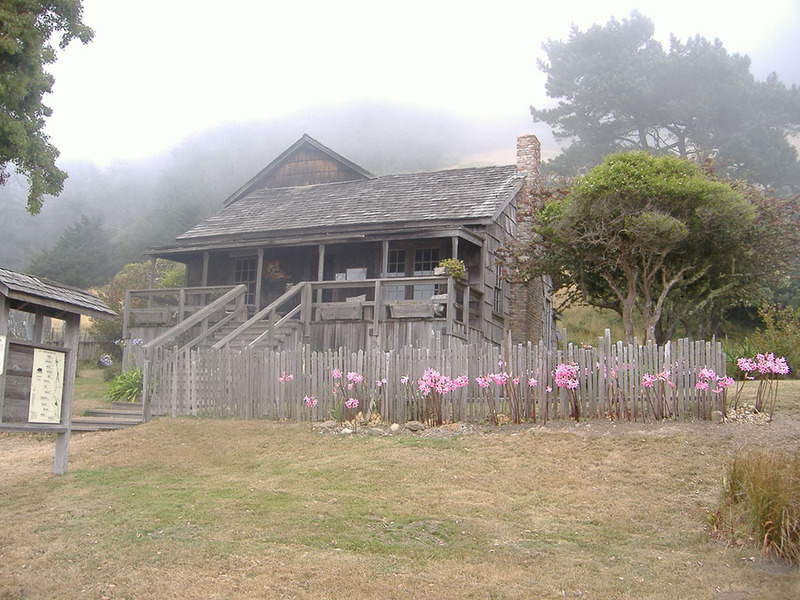 First-come, first-served primitive camping: call 707-247-3318 for additional information.